Green Plumbing & Heating | Paul Flaherty Plumbing & Heating Co., Inc.
It’s no secret these days that going green not only means saving energy, but also saving money on utility bills! Paul Flaherty Plumbing & Heating can help you understand the benefits of high efficiency appliances and can direct you to the appropriate utility company rebate programs that you are eligible for when you upgrade your plumbing and heating systems. Remember, you often qualify for state and federal tax rebates when you invest in high efficiency equipment. And at Flaherty Plumbing, we keep complete records of your installation and can provide ongoing maintenance to keep your systems running at peak efficiency! You have more reliable choices than ever to go green without sacrificing comfort or performance. Call us to learn more about what going green means when it comes to plumbing and heating. 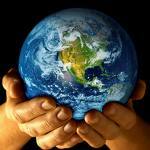 Together we can save our planet and save you money! Get the latest news and facts on water conservation and learn about Water Sense products below.